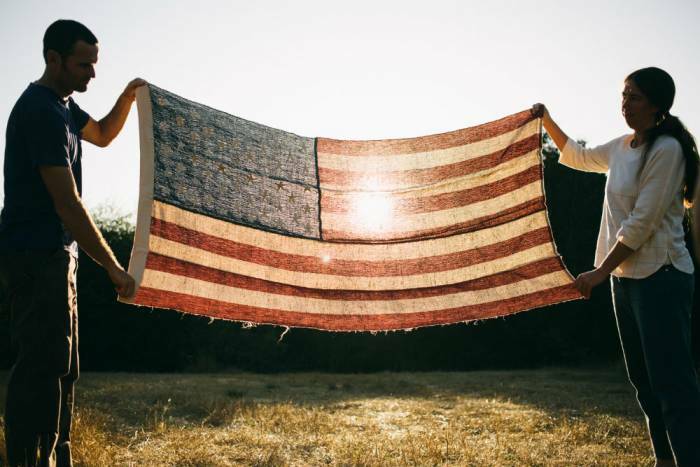 A new short film released today by Patagonia presses Americans to support a forthcoming proposal that hits Capitol Hill this Fourth of July to legalize the farming of industrial hemp in the U.S. Following the 2014 campaign by Michael Lewis, a veteran and rogue hemp farmer, to raise a flag made entirely of hemp at the Capitol, Harvesting Liberty hammers home the staggeringly irrational laws the prohibit the planting and farming of industrial hemp on U.S. soil. Patagonia released the 12-minute documentary in collaboration with Fibershed, a non-profit educational organization focusing on sustainable textile agriculture, and Growing Warriors Project, a skills-training and reintegration service founded by Lewis to help returning veterans learn small-scale and professional farming. Though it possesses zero psychoactive properties, industrial hemp is a Schedule 1 Controlled Substance and the U.S. imports around $500 million in retail value hemp products annually. Hemp also requires less water and fertilizer than legal fiber alternatives. You can learn more about the Industrial Hemp Farming Act, originally introduced in 2015, coming before the Senate and House on July 4th.